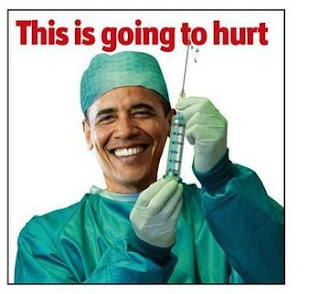 Obama(doesn't)care, otherwise known as the "Affordable Health Care Act" is really about the end of the middle class. It is about power taken (government) and power lost (me and you). It is about pain and suffering. It's about TYRANNY. It is also highly illegal, and just because politicians, or a Judge, says that it is legal doesn't make it so. We inherently understand that any person, or any body of people that FORCE us to buy something is NOT A JUST LAW. This is an excellent and important 8-minute video that I hope you don't miss.